A lineup of Iranian movies will go on screen from June 23rd to July 2nd in various sections of the 34th Filmfest München. Asghar Farhadi’s acclaimed drama “The Salesman” will be shown in the CineMasters Competition. The social drama won awards for best screenplay and best actor at the 69th Cannes Film Festival in May. Two other highlights will go on screen in the International Independents section: “Avalanche” by Morteza Farshbaf and “Yahya Didn’t Keep Quiet” by Kaveh Ebrahimpur. The festival is also presenting a retrospective of Bahman Ghobadi’s work with films like “A time for drunken horses” (2000), “Turtles can fly” (2004), “No one knows about Persian cats” (2009), and “Rhino season” (2012). Bahman Ghobadi is an Iranian film director of Kurdish ethnicity born in 1969 in Baneh, near the Iraqi border. He belongs to the “new wave” of Iranian cinema. His first feature film “A time for drunken horses” won the Camera d’Or in Cannes in 2000. This entry was posted in Cinema and tagged Asghar Farhadi, Bahman Ghobadi, Cinema, Deutschland, Film, Filmfest München, Filmfest Munich, Films, Germany, Iran, Kaveh Ebrahimpur, Morteza Farshbaf, Movie on June 18, 2016 by socialinform. The 11th edition of RoboCup IranOpen took place at Tehran International Fairground. Around 2000 university and high school students from different countries competed in three categories including humanoids, flying robots and rescuers, divided into different leagues and difficulty levels. A total of 320 teams, 306 from Iran and 14 teams from abroad (Afghanistan, Canada, China, Germany, the Netherlands, Peru, South Korea, United Kingdom and the USA), competed at this event. The IranOpen has been organized by the Iranian RoboCup National Committee and Qazvin Azad University. The Committee was officially formed in July 2006 with the objective of promoting robotics and artificial intelligence research. Small Size robot soccer (or F180) focuses on the problem of intelligent multi-agent cooperation and control in a highly dynamic environment with a hybrid centralized/distributed system. The RoboCup Standard Platform League is a RoboCup robot soccer league, in which all teams compete with identical robots. This entry was posted in Sports and tagged Awards, Canada, China, Germany, International, Iran, Photos, RoboCup Iran Open, Science Competitions, United Kingdom, United States, USA, Youth on April 18, 2016 by socialinform. Fajr International Theater Festival (FITF) is a golden opportunity to enjoy theatre projects from other cultural backgrounds. 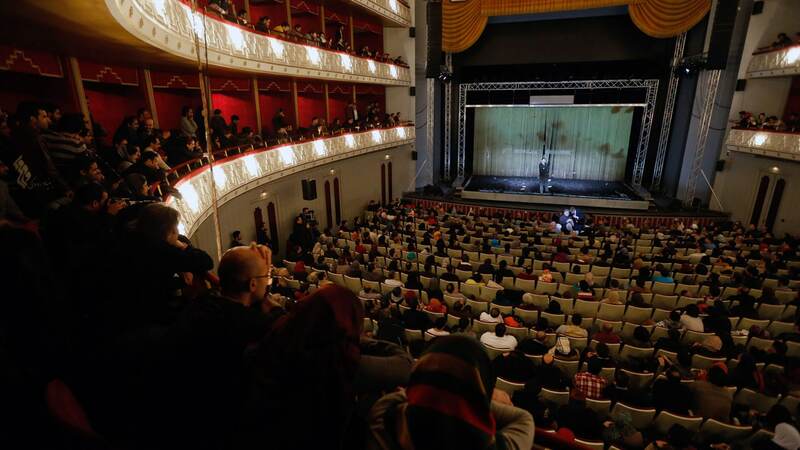 This year over 300 plays from Japanese, Hungarian, Spanish, German, Norwegian, Polish, French as well as Iranian artists were presented on all theater stages as well as some outdoor public spaces in Tehran. The members of the jury panel for the international section – Stefan Schmid from Germany, Jerzy Limon from Poland, Oleg Loevski from Russia and Iranians Masoud Delkhah and Farrindokht Zahedi – honored “Hamlet” with two awards; German director Thomas Ostermeier received the Grand Prix of the festival and Lars Eidinger won the Best Actor Award. The play had three completely sold-out performances. Norway participated with a powerful performance of Henrik Ibsen’s “Hedda Gabler” by Visjoner Teater, founded by Juni Dahr in 1988. The play was staged at a house and not at a theatre to allow the site specific artistic concept of this production. The shows were sold out, thus an extra performance was organized. Actress and artistic director Juni Dahr won in 2014 the Jury’s FITF Special Prize for “Ibsen Women”. “The Shadow Game” written by Koichiro Iizuka and directed by Tatsuya Hasegawa from Japan’s Dazzle Dance Company took the stages by storm with four sold out shows at Tehran’s Vahdat Hall, leaving the audience breathless long after the actors have left the stage. The play, about the clash between positive and negative energy to highlight the effects of the natural disasters in Japan, used a magnificent combination of street dance, electronic music, theater, elements of video games and anime plot with Japanese commentary all wrapped up in street and contemporary dance styles choreographed by Hasegawa himself. In 2012 Hasegawa’s “Misty Mansion” won the FITF Best Play Award. Hungary’s “Becoming Butterfly – Conspiracy” written and directed by Zsófia Bérczi, has taken the audience through an existential journey on the wings of imagination and visual aesthetics. There was something universal and deep about the play that made it connect with the audience no matter from which country and culture. “Human beings are not the most beautiful creation on earth, but they are the most beautiful dream of all creations on earth.” Bérczi also staged Living Surface at this year’s festival. “Peregrinus” from Poland’s KTO Theater is a performance without dialogue, illustrated by music that depicts a single day in the life of an individual of the 21st century. The contemporary “Everyman”, whose life is “suspended” between home and work for a corporation, identifies his or her “pathway through life” as a “pathway to work”. Homo Peregrinus is a formatted human being, stripped of emotionality, predictable and bereft of individual characteristics. Perigrinus’s belongings can be packed in one piece of hand luggage. “Katastrophe” and “A House in Asia” were presented by Agrupación Serrano, a Spanish theatre company that creates original productions based on stories drawn from contemporary times, blending stage performance, text, video, sound, and scale models to stage stories about discordant aspects of today’s human experience. The FITF international section also included “Dance of Death B La La”, a joint Iranian-German production by Iranian director Yaser Khaseb from Crazy Body Group, “Body Revolution” by Belgium based Iraqi director Mokhallad Rasem, the monologue “Monsters” by Laurent Fraunie from France, Georgian “Me-Medea” written and directed by Salome Joglidze and more. This entry was posted in music and arts and tagged Art, Deutschland, España, Fajr International Theater Festival, France, Germany, Hungary, Iran, Japan, Magyarország, Nippon, Norge, Norway, Photos, Poland, Polska, Spain, Theater on March 12, 2016 by socialinform. Mehrdad Oskouei’s ‘Starless Dreams’ (Royahaye Dame Sobh) along with ‘Fuocoammare’ (Fire at Sea) by Gianfranco Rosi have won the Amnesty International Film Prize at the 66th Berlin International Film Festival. Rosi’s documentary film about the refugee crisis in the Mediterranean off the Italian island of Lampedusa, won also the Golden Bear prize for Best Film. Oskouei, one of Iran’s best documentary filmmakers, explores in ‘Starless Dreams’ the anguish and joys of girls in a juvenile correctional facility on the outskirts of Tehran. His small, all-male crew spent 20 days talking to the young women who gave them surprising access to their lives and feelings. The film won in Iran the Best Documentary Director Award at the 34th Fajr Film Festival earlier this year. The German branch of Amnesty International has awarded the Amnesty International Film Prize for the first time at the Berlinale 2005. The aim of the prize is to draw the attention of audiences and representatives of the film industry to the theme of human rights and encourage filmmakers to tackle this topic. German actress Meret Becker, Swiss film maker Dani Levy and Markus Beeko, Director of Campaigns and Communications for Amnesty International Germany were the members of this independent jury at the Berlinale 2016. Oskouei, an independent producer, filmmaker, photographer and researcher, was born in Tehran, Iran in 1969. He has a B.A. in film direction from the University of Arts, starting in the theatre in 1981 and the film world in 1988. In 2010, Oskouei received the Prince Claus Award from the Netherlands. This entry was posted in Cinema, music and arts, Personalities and tagged Art, Awards, Berlinale, Cinema, Film, Germany, International, Iran, Italia, Italy, Mehrdad Oskouei on March 8, 2016 by socialinform. The winners were announced during the closing ceremony of Tehran’s 32nd Short Film Festival held at Andisheh Hall. The jury members of the International Competition Section were Andrzej Bednarek from Poland, Matthias Flügge from Germany, Seigo Tono from Japan, Gipsy Chang from Hong Kong and Alireza Shoja Noori from Iran. “A Warm Spell” by Toshimichi Saito from Japan received the Grand Prix of the festival. Best Fiction Film was awarded to “It Will Be Alright” by Patrick Vollrath from Austria. “Songbirds’ Shop” by Anatoliy Lavrenishyn from Ukraine won the Best Animation Award. Best Documentary was awarded to “Touch of Freedom” by Sardar Arshad Khan from Poland. Jessica Dürwald from Germany received the Best Experimental Award for “Eat My Dream”, “Survival” by Masoud Hatami from Iran won the Special Jury Prize, “Electronic Town” by Tony Mullen from Japan was chosen as the Best Film from Asian Countries. Saeed Nejati from Iran received the Best Film from Islamic Countries Award for “Prohibition” and “Angelus Novus” by Aboozar Amini from Netherlands won the Best Anti-Violence Film Award. This entry was posted in Cinema, music and arts and tagged Art, Austria, Awards, Cinema, Germany, International, Iran, Japan, Photos, Poland, Tehran, Tehran Short Film Festival, Ukraine on December 30, 2015 by socialinform. A performance consisting of projections of light titled ‘Gate of Words’ by German artist Philipp Geist is taking place at Tehran’s landmark Azadi Tower until October 5th. The installation artistically visualizes the topics of freedom, peace, space and time in different languages. During the performance Azadi Tower is to become a three-dimensional light sculpture that can be crossed by visitors. ‘I tried to illustrate words one by one to make the reader pay more attention to them. Sometimes, words are legible and sometimes not. Using this method, I make great attempts to make each and every reader have his/her own interpretation of the subject,’ said the German artist. – It is one of the most familiar landmarks of Tehran. – The builduing includes a cultural centre with a library, a museum and several art galleries. – The entrance of the tower is directly underneath the main vault and leads into the Azadi Museum on the basement floor. – The main display is occupied by a copy of the Cyrus Cylinder (the original is in the British Museum). – The monument acts as a grandiose gateway to the Iranian capital, and is surrounded by a large plaza (approx. 50,000 m²). – Built in 1971 in commemoration of the 2,500th anniversary of the Persian Empire, this “Gateway into Iran” was named the Shahyad Tower, meaning “Kings’ Memorial”, but was dubbed Azadi (Freedom) after 1979. It is 50 meters (164 ft) tall and completely clad in cut marble. This entry was posted in music and arts and tagged Art, Deutschland, Germany, International, Iran, Philipp Geist, Photos, Tehran on October 4, 2015 by socialinform. Plot: In an imaginary village in the Caucasus, a President is on the run with his five-year-old grandson following a coup d’état. The two travel across the lands that the President once governed. Now, disguised as a street musician to avoid being recognized, the former dictator comes into contact with his people, and gets to know them from a different point of view. The President and his family rule their land with an iron fist, enjoying lives of luxury and leisure at the expense of their population’s misery. When a coup d’état overthrows his brutal rule and the rest of his family flees the country by plane, The President is suddenly left to care for his young grandson and forced to escape. Now the country’s most wanted fugitive with a bounty on his head, The President begins a perilous journey with the boy, criss-crossing the country to reach the sea where a ship waits to bring them to safety. Posing as street musicians and traveling together with the people who suffered for years under the dictatorship, the fallen President and the innocent child will be exposed first hand to the hardships that inspired unanimous hatred for the regime. 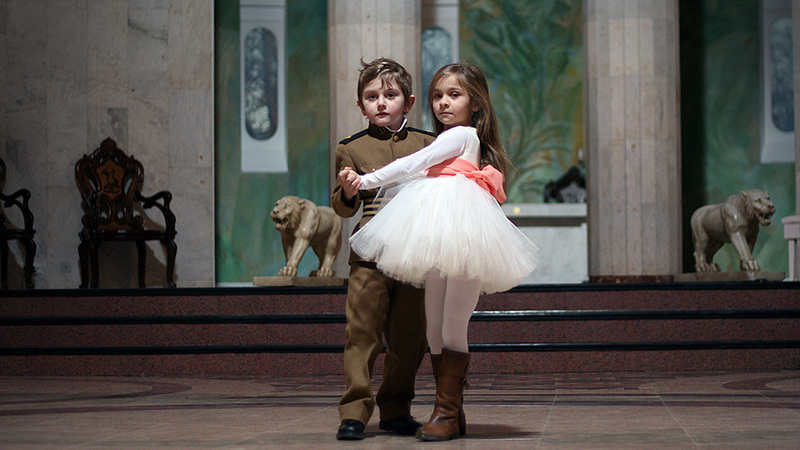 This entry was posted in Culture and tagged Cinema, Deutschland, Film, Films, France, Georgia, Germany, Iran, Mohsen Makhmalbaf, Movie, UK, Video on September 23, 2015 by socialinform.